Coffee and beer. On their own, two of mankind’s greatest discoveries; together, some might argue, its greatest invention. However, when brewers get the urge to amp up their recipes with some bold flavors, they don’t just go dumping coffee into beer willy-nilly. This is a pairing that’s best tackled as a team — with experts from each category working together to grind out the bitter details — and where there’s a brewery, there’s almost always a coffee roaster nearby. For breweries, developing relationships with local partners has many advantages, even if it is cheaper to buy coffee off the shelf of a chain retailer. But cost is hardly a factor in this equation. At the heart of it, breweries are small businesses, so they know what it means to support other small businesses. Buying coffee from a local roaster not only shows solidarity, it keeps dollars in the community — and that benefits everyone. 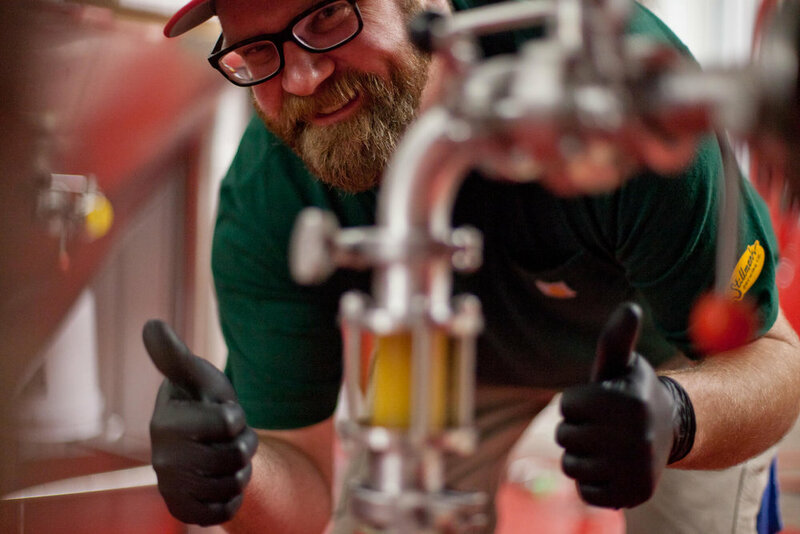 Beyond being neighborly, breweries aren’t looking for a one-bean-fits-all solution. Their goal is to make the highest-quality product they can, so making due with what’s available is not an option. This places real value on dealing directly with a roaster. 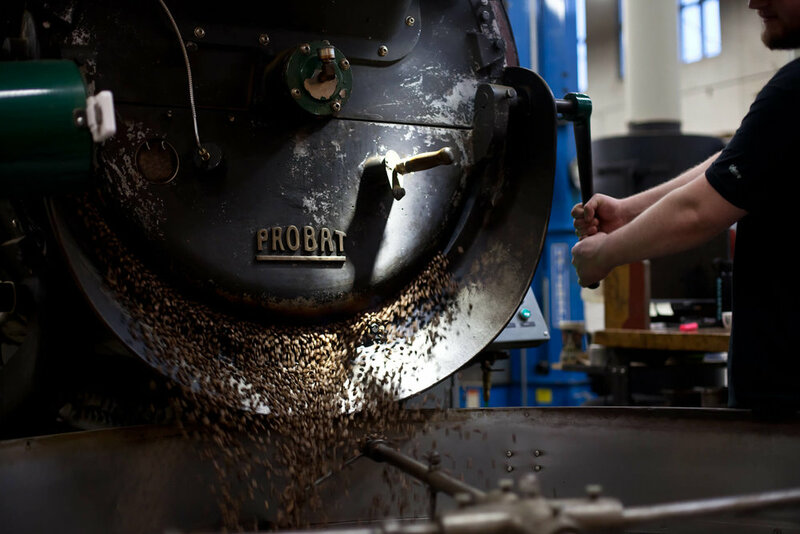 As a partner in the process, roasters bring their expertise to the table to help select the right beans. 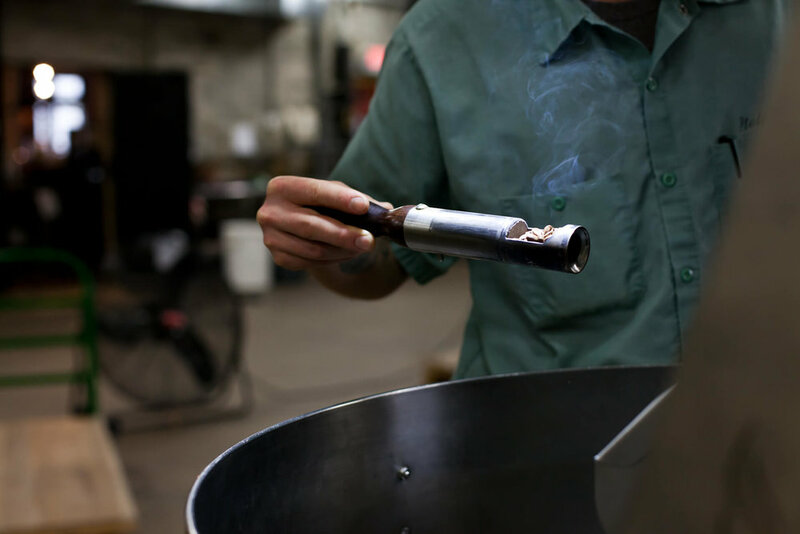 They also play a big role in determining how much the beans should be roasted in order to match a specific flavor profile. Often times, this process involves trying multiple variations, then lining them up next to a base-beer to see which version tastes best. After that’s all decided, the roaster makes a batch; or multiple batches, depending on how much the brewer needs. So far this year, Russ Klisch of Lakefront Brewery said they’ve purchased 190 pounds of coffee from Colectivo Coffee Roasters for their Fuel Café stout. 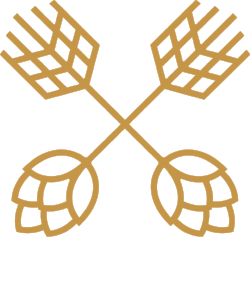 Hinterland Brewery, who pays the bills with their flagship Luna Coffee Stout, uses 200 pounds per batch. The coffee, by way of Luna Coffee Roasters, marks its namesake. Not to be outdone by themselves, Hinterland brews a special imperial stout that calls for 600 pounds of beans — all of it roasted by Mark Patel on Luna’s small-batch roaster. As far as the infusion goes, most breweries use a cold press technique to introduce coffee into the beer-making process. However, for some methods, roaster proximity is crucial for the handoff. Kevin Wright heads up operations at Third Space Brewery, located less than a mile down the street from Stone Creek Coffee in Milwaukee’s Menomonee Valley. He says he wants the beans “as hot as possible,” when adding them to the fermenting wort of what will become Mocha Java. According to Kevin, the heat helps avoid introducing unwanted microorganisms that would otherwise take control of the final product. These brewery-roaster collaborations can also have an impact on the final product in another sense. When it comes to sales, a brewery’s brand is its reputation. Working with an established roaster can help breweries build credibility within their community, and visa versa. Steve Hawthorne of Hawthorne Coffee Roasters noticed the connection almost immediately. The day after Raised Grain Brewing Company released a beer featuring his coffee, Steve was surprised when “a guy walked in looking to check out the place that worked with Raised Grain” — he says, “We’re both in deserts, and our deserts are really far apart,” referring to the lack of coffee roasters and breweries in their respective neighborhoods. Steve also mentioned a huge spike in Facebook and Instagram followers after the beer release. 48 percent of each purchase at a local independent business is recirculated back into the local economy (American Independent Business Alliance). Interestingly, Mark used to roast Lakefront's Fuel Café coffee blend when he lived in Milwaukee. The map below illustrates a few of the coffee collaborations between Wisconsin brewers and coffee roasters. This is not a comprehensive list, however, it is worth noting the average distance between each partnership is 8.0 miles. For a more interactive experience, click here.